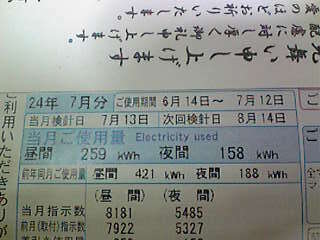 TEPCO, arrogant and haughty company. TEPCO's subcontract enterprises compelled to undertake TEPCO's dismissed employees from TEPCO. Needless to say, those small subcontract enterprises can't afford to hire TEPCO's dismissed employees. However, TEPCO pressed to accept TEPCO's demand to their subcontract enterprises. If subcontract enterprises refuse TEPCO's request, they lost job and become bankrupt. After Fukushima nuclear power station accident, TEPCO owed compensation obligation. The compensation will be exceed $1,000,000,000. To pay compensation, Japan government requested clearance property and downsizing to TEPCO and TEPCO accepted the request. TEPCO announced the plan to cut off 3600 employees. However, TEPCO pressed the subcontract emterpreises to hire dismissed employees with high salary. Those dismissed employees salary was $100,000 or higher a year and TEPCO forcefully requested to pay them same salary to TEPCO's subcontract enterprises. There is no reason, no justice, and no sense of responsibility. TEPCO try to have others wipe off the failure. I strongly request to the U.N.
My country[Japan] has 54 nucleur bombs. Those nucleur bombs are installed all over the country but Okinawa islands. In fact, those 54 nucleur bombs are never firing to other countries, never be used for threaten neighbor countries. Therefore, Japan Govrnment, politicians of the perty in office, and power companies such as TEPCO have frequently insisted that "Japanese nucleur power plants are perfectly sefety!!"